Figuring out how to save money as a teenager isn’t even close to being as hard as it may first seem. It’s also one of the best things you can do for yourself! After all, by creating good savings habits now, you’ll already be miles ahead of everyone else your age – and, it should be said, a ton of people who are way older than you. Many people get well into adulthood before figuring out how to manage their money. Some never figure it out at all. So if you’re still in high school and have already worked out the importance of getting your finances under control, then go straight to the top of the class, because you’re already well on the path to success. That said, it can be super tempting to spend whatever it is you save, especially when you’re surrounded by people who spend now and think later. Luckily, there are a bunch of ways to save money as a teenager to help you reach your financial goals. While it’s great to simply aim to save money, it can often be more effective if you have something you’re saving for. Whether it’s saving a few hundred dollars for a new phone or a few thousand dollars for your first car, having an actual amount to work towards really helps you to save more. After all, if you’re thinking about grabbing lunch with your friends at the mall, having a goal lets you think whether you need that burger…or whether the money would be better put towards whatever it is you’re hoping to buy. I know, I know. This isn’t the most fun thing you’ve ever done. But trust me when I say that knowing where your money is going is CRUCIAL for making sure you have more of it to save at the end of the month. It can be way too easy to spend $5 here and $10 there. And before you know it, you’re opening a wallet that has nothing but cobwebs inside. Instead, make sure you’re tracking every single dollar that you spend. It’s a great way to make sure that you know exactly where your money is going – and where you can cut back to save even more. A savings account is a great tool to help you, well, save. Firstly, it keeps your savings separate from your spending money. And if you can’t see your savings or if they’re a bit hard to access, then you’re less likely to “accidentally” spend more than you meant to. Secondly, having a savings account lets you earn interest on what you’ve saved. Which equals even more money for you at the end of the day! And for this, I really recommend the CIT Bank High Yield Savings account. It lets you earn interest at a rate of 1.55% per year, which is 25 times higher than the national average. Better yet, all you need is $100 to open an account and it’s completely fee-free. So all your money is working for you and not the bank! It’s pretty hard to save if you don’t have any income. So getting a part-time job should be a high priority for any teen looking to save money. I worked at McDonald’s all through high school and when I graduated, I’d saved enough money to pay for my student exchange that I did the year after. Which was incredible and definitely worth all those hours working the drive thru. So even if it’s only for a few hours per week, look around your local area to see what job opportunities there are. And don’t limit yourself to only jobs in retail or hospitality. For example, sites like Rover.com let you earn great money from dog walking while Sittercity has thousands of babysitting jobs available that may fit perfectly in your after-school schedule. There are tons of jobs out there for teens, including online, so think outside the box and see what you can find! When you get that first pay check, it can be SUPER tempting to head straight for the mall (or the online equivalent) and start to stock up. But you’ll likely never reach your savings goals if that’s your first instinct. Instead, you should always pay yourself first. By that, I mean transfer a set amount into your savings account so you’re only leaving yourself the remainder to spend until your next pay check comes in. That way, you’ll know for sure that you’ve met your savings goals that month before you’ve even spent a cent! And don’t touch your savings if you find that things are a bit tight at the end of the month. After all, it’s far better to have to forego a night out with your friends than to have to wait even longer to meet your savings goal! There are a ton of discounts available if you just have a student ID. From clothes to tech to movie tickets to cell phone service, there are a bunch of things you can get massively discounted simply for being a student. So check out the list here. My absolute favourite is the student discount on Amazon Prime as, simply put, the deals are incredible. After a trial period where it’s free for six months (just cancel at any time if you don’t want to pay the $5/month they charge after that), you get all sorts of things like free two-day shipping and access to streaming of thousands of TV shows and movies. It’s a damn good deal – although check out the rest of the list to see if something else suits you better. So you’ve moved your savings to an account where they can’t be touched and so you’ve essentially given yourself an allowance for the month. Great! Now you have to make sure you’re spending what’s left wisely. There are a bunch of tricks you can do to help you spend wisely but my favourite has to be divide your time. That is, if you’re thinking of buying something, work out how long you had to work to earn the cost of it. If you want to buy a $40 top but you earn $6 an hour, is it worth working almost seven hours to pay for it? Or could that seven hours of work be put towards something more worthwhile. Give it a shot to see if this trick helps you keep your spending under control – or take a look at these 23 tips on how to stop spending money fast. Another great trick to try is a money saving challenge! 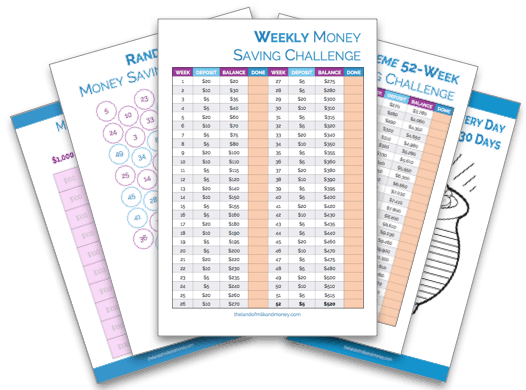 And we have some great free printables to get you on your way to succeeding at one of these challenges! Now, I don’t mean straight up asking them for money. But if you can show your parents that you’re saving, say, $40 per week, why not see if they’ll match it? This is especially good if you’re saving up for something more expensive, like a car. Chances are your parents will appreciate your great savings habits and may agree. And even if they’re not able to match it, they’ll still see how serious you are about getting your finances in order – which any parent would be proud of. If you’re a teen – or remember being one – what’s the best money-saving tip that worked for you? 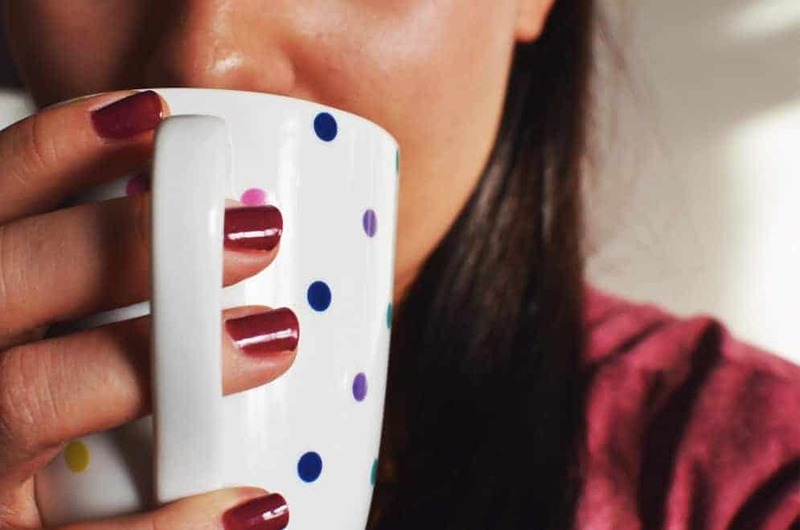 If you liked finding out about 8 Super Simple Ideas On How To Save Money As A Teenager, why not share it with your friends? An awesome article for a teenager. It was worth reading and sharing to all teenagers. Thank you so much.